Statistics from the Eastern Highlands Provincial Government’s Law and Justice Sector shows that in 2007, the ratio was one policeman to 2, 200 people. This contributed to the increased number of criminal activities in the Kainantu District of the Eastern Highlands Province. In recent times, the crime rate has dropped due to increased police manpower. 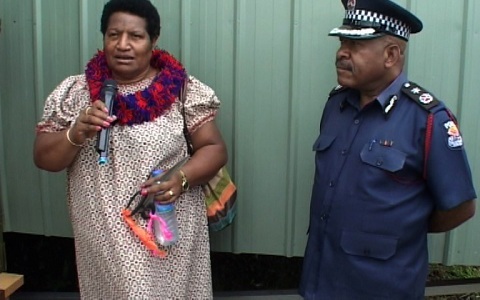 The Eastern Highlands Provincial recently opened a new police single barracks as part of its efforts to reduce crime in the area. It is hard to believe that Kainantu District was once a peaceful township in the colonial era. 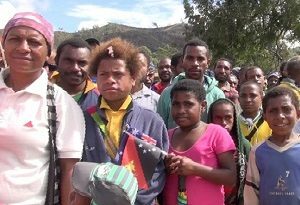 The situation got worse when the population started to increase together with the influx of people into Kainantu, which is considered the gateway to the rest of the Highlands Provinces, Madang and Morobe. There were attempts by successive Provincial Governments to address the high crime rate. Recently, their efforts were made by Kainantu MP Johnson Tuke and Eastern Highlands Governor Julie Soso, who saw the opening of the new Police Single Barracks, including five new sets of computers for the police. Someone who was also instrumental in the change is Kainantu Police Station Commander Peter Roari. He said youths engage in criminal activities because they feel useless in the community, therefore, there must be opportunities for them to take-up. 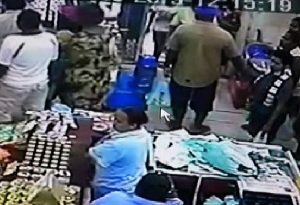 He encouraged the Coffee Shops along the Highlands Highway that have contributed to reducing crime. 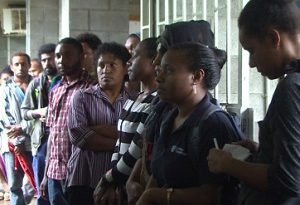 There are also plans to upgrade the run–down Police Station in Goroka, with K1 million allocated by Governor Julie Soso through DSIP funds. Apart from this, K500, 000 has been allocated for Kainantu Town water and sewerage projects and further deployment of police manpower in the area.